Styled with everly camisole and kahlo robe . 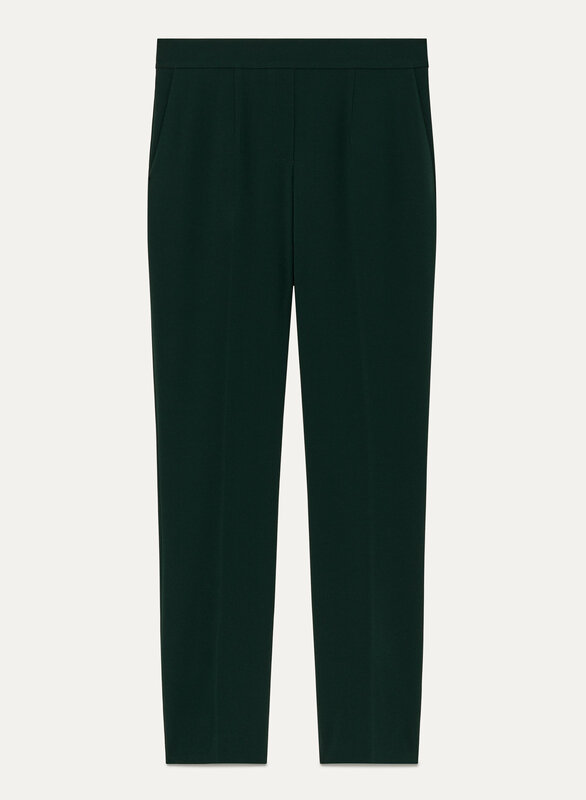 Babaton's iconic Conan trouser is just like the Cohen — minus the pleats. 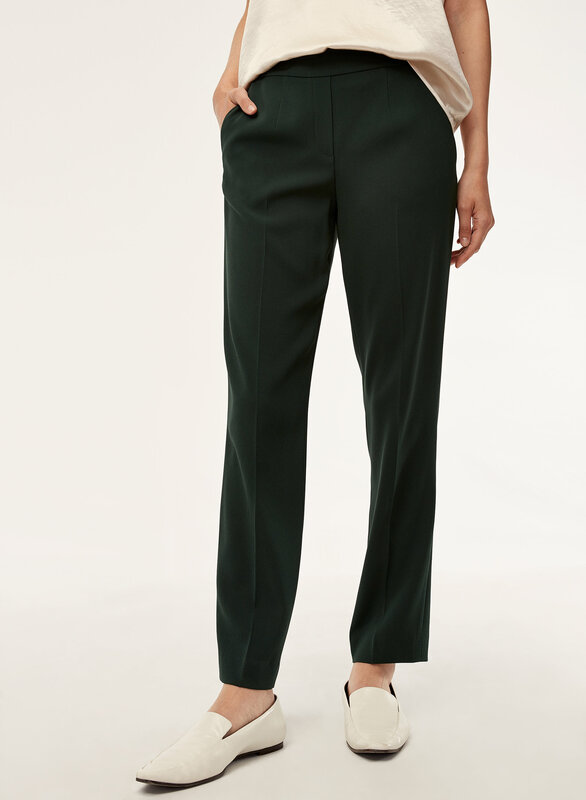 This version is long and tailored with Terado™, exclusive Japanese fabric that's matte crepe on one side and smooth satin on the other. To see more Cohen and Conan styles, click here.